Starting her career as a child artist on television, Hansika Motwani has established herself as an Indian actress who appears in Tamil and Telugu films. The young and talented actress has given many hit South Indian movies which are dubbed in different languages. Here is the list of Hindi dubbed movies of Hansika Motwani. Desamuduru (2007) is a Telugu action film directed by Puri Jagannadh. The film stars Allu Arjun and Hansika Motwani in the lead. It was a super hit movie and dubbed into Hindi as ‘Ek Jwalamukhi’. Plot: After Bala, who works for a TV channel, gets into trouble with a goon, he is sent away for an out-of-town assignment. He meets and falls in love with a girl who is shortly kidnapped by a gangster. Kantri (2008) is an action thriller film directed by Meher Ramesh, starring Jr. NTR, Hansika Motwani, Tanisha Mukherjee, and Prakash Raj. The movie was a hit at the box office and dubbed in Hindi as ‘Ek Aur Qayamat’. Plot: Kranti, an orphan, joins PR’s gang in order to secretly amass his wealth and use it for his orphanage. When he finds that PR has attacked Krishna, an innocent man, he decides to help him. Maska (2009) is a Telugu action film directed by B. Gopal and starred Ram, Hansika Motwani, and Sheela. It was an above average film and dubbed into Hindi as ‘Meri Zindagi Mera Faisala’. Billa (2009) is an Indian Telugu-language action thriller film directed by Meher Ramesh. Prabhas plays the lead role, with Anushka Shetty and Namitha playing the heroines. Hansika Motwani plays a cameo appearance in the movie. This film was average and dubbed in Hindi under the title ‘The Return of Rebel 2’. Seeta Ramula Kalyanam (2010) is a Telugu action drama film, directed by Eeshwar starring Nitin and Hansika Motwani. It was an utter flop movie and dubbed into Hindi as ‘Dushmano Ka Dushman’. Plot: While traveling to a new job location, Sita is attacked, and saved by a man who kills the offender. Later, she realizes that her boss is the killer from the past and is warned against reporting him. Mappillai (2011) is a Tamil romantic action comedy film directed by Suraj, starring Dhanush and Manisha Koirala with Hansika Motwani, in her Tamil debut. The film was declared a hit at the box office and dubbed the film into Hindi as ‘Jamai Raja’. Plot: Rajeshwari agrees to get her daughter Gayathri married to her beau Saravanan, thinking him to be subservient. But her plans are foiled when she realizes that he has a violent past. Kandireega is a Telugu romantic-action-comedy film directed by Santosh Srinivas. The film features Ram and Hansika Motwani in the lead roles. Aksha Pardasany played another lead role. The film received positive reviews from critics and audience and was a box-office success. It was also dubbed in Hindi as ‘Dangerous Khiladi 4’. Plot: Sreenu and Shruti fall in love after he chases away his rival Bhavani. Sreenu is in a fix when Rajanna kidnaps Shruthi and asks Sreenu to marry his daughter. Bhavani returns to make matters worse. 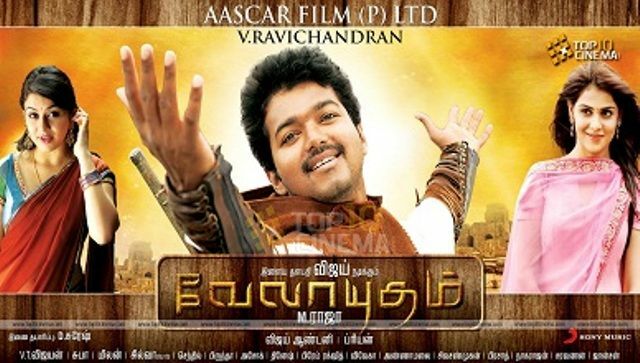 Velayudham (2011) is an Indian Tamil-language superhero film written and directed by M. Raja. 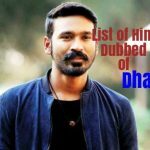 It stars Vijay in the title roles, alongside Hansika Motwani as the female lead, Abhimanyu Singh, Genelia D’Souza, Saranya Mohan and Santhanam in supporting roles. The movie was a hit and dubbed into Hindi as ‘Super Hero Shahenshah’. Plot: A group of Pakistani terrorists kidnap the Home Minister of Tamil Nadu to spread terrorism. A journalist, Bharathi decides to take them on by creating a fictional character called Velayudham. Denikaina Ready (2012) is a Telugu action comedy film directed by G.Nageswara Reddy. The film features Vishnu Manchu and Hansika Motwani in the lead roles. The movie turned out to be a blockbuster at the box office and was dubbed in Hindi as ‘Sabse Badi Hera Pheri 2’. Singam II (2013) is an Indian Tamil action film written and directed by Hari. The film stars Suriya along with Anushka Shetty, Hansika Motwani, Vivek and Santhanam in supporting roles. It was a blockbuster film and dubbed in Hindi as ‘Main Hoon Surya: Singham II’. 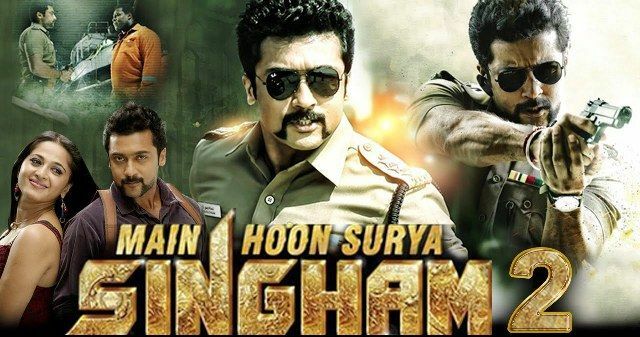 Plot: Duraisingam is undercover as an NCC officer in a Thoothukudi school. He must tackle Bhai and Thangaraj, two criminals who rule the area and who are working in cahoots with an international drug lord. 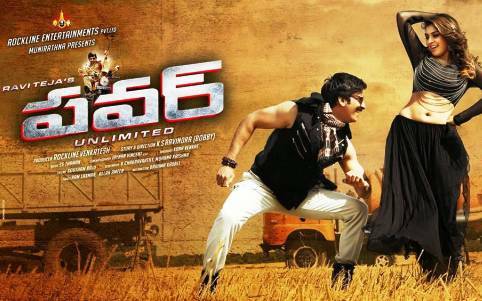 Power (2014) is a Telugu action comedy film directed by K. S. Ravindra. It features Ravi Teja with Hansika Motwani and Regina Cassandra playing the female lead roles. The film was an average grosser and dubbed in Hindi as ‘Power Unlimited’. Plot: Krishna, a police officer, falls in love with Sailaja, the daughter of a wanted criminal. However, his main motive is to use her in order to nab her father. Vaalu (2015) is an Indian Tamil-language romantic action comedy film written and directed by debutant Vijay Chander. The film features Silambarasan and Hansika Motwani in the lead roles, with Santhanam, VTV Ganesh and Brahmanandam portraying supporting roles. It was a hit film and dubbed in Hindi under the same title ‘Vaalu’. Plot: Sharp, an unemployed youth, falls in love with Priya, a pretty girl. But Priya is engaged to Anbu, her cousin. Will Sharp be able to make Priya fall in love with him? Puli (2015) is an Indian Tamil fantasy-adventure film written and directed by Chimbu Deven. The film features Vijay in a dual role alongside Shruti Haasan, Hansika Motwani, and Sridevi. Sudeep features as the main antagonist of the film including Prabhu and Nandita Swetha in supporting roles. 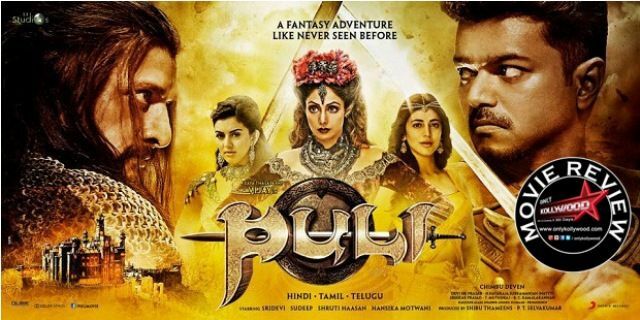 The film was a flop and dubbed into Hind the with same name ‘Puli’. Aambala (2015) is an Indian Tamil action comedy film co-written and directed by Sundar C. It features Vishal in the leading role alongside an ensemble cast including Hansika Motwani, Ramya Krishnan, Santhanam. It was a below average movie and dubbed in Hindi as ‘Ambala’.